STACKED is much more than a bookshop- it is the culture department for The Fine Art of Design; from Sunday night Cinematheque, to Thursday night After Hours, Wednesday Feminist Matters group meetings, to the daily in flow of art books, literary reads, vintage and current magazines, and zines. It is no doubt we draw constant inspiration from the bookshop. STACKED has found one more way to infiltrate our minds- Tumblr! Here is my most recent obsession, Todd Cole's film for Rodarte, featuring Elle Fanning. The warm hues, the retro decor, the jackets-- another sign the new season is approaching. We present to you Todd Cole's "The Curve of Forgotten Things" via Stacked. 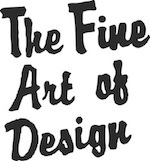 You are currently reading via Stacked Bookshop at THE FINE ART OF DESIGN.